Posted on April 20, 2017 at 1:12 pm. A prominent showroom and workshop premises on Shoreham Street on the fringe of the Sheffield city centre and fronting onto the Inner Ring Road, has been let by Campbell and Company in an off market transaction to Via Moto, a specialist motorbike and scooter sales company who are relocating from a showroom on Shalesmoor in the city. The move is to allow the company more space for expansion. 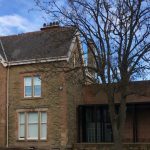 The property was previously occupied by Fowlers Finance who gave up the premises in early Autumn 2016. After a period of re-furbishment and re-branding, the company aim to be trading from the new site in the Spring of 2017. Via Moto were advised in the transaction by Sheffield based WPA Chartered Surveyors.